The sea and river trips have always been the most exciting journeys. 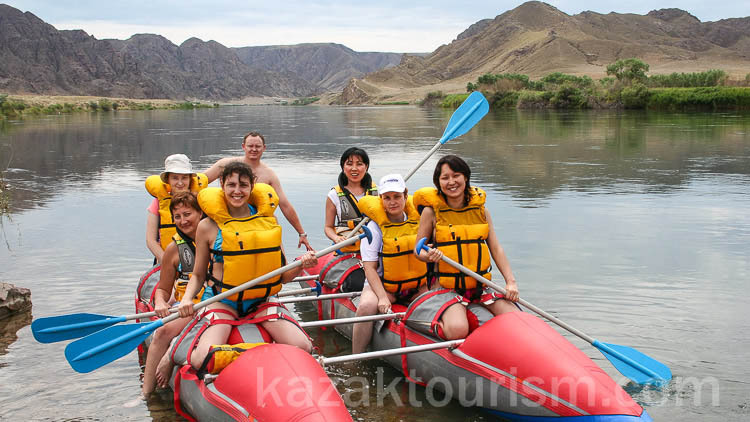 There are several large rivers in Kazkahstan where the rafting of different difficulty grades is possible. The Ili river rafting is a scenic ride down the river on calm water. It is comfortable and safe even for children and people without any rafting experience because there are no rifts on the Ili river and the average flow speed is about 3 or 5 kilometers per hour. The river below the Kapchagay Hydroelectric power station flows between the rocky mountains of the canyon that has got some fascinating landscapes that are only accessible by boat. This is why many people are restricted to see it. But the Ili river rafting makes it possible to fully enjoy those rocky sceneries. It is possible to land along the coast and walk to some interesting places on the banks of the Ili river. On the eastern bank there are some rock engravings called Tamgaly Tas. 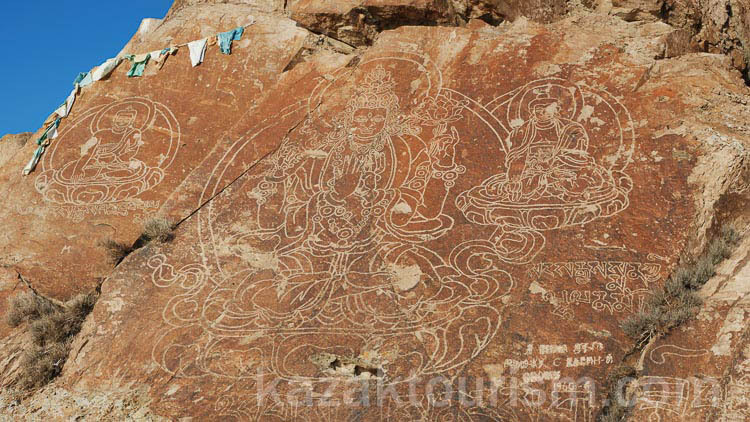 The engravings were made by some Buddhist monks some centuries ago. 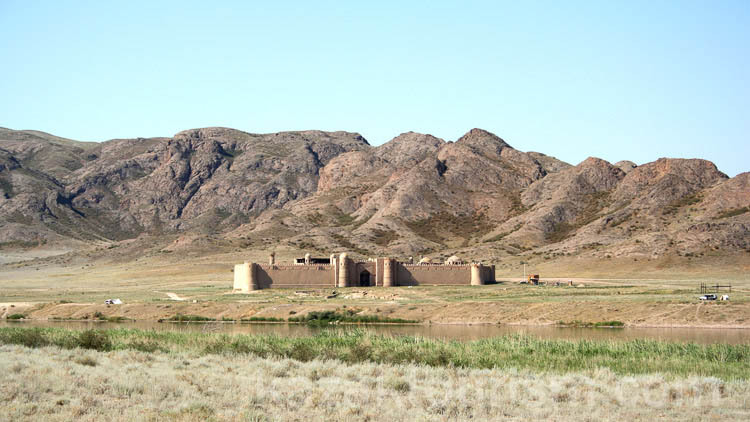 On the western bank there is "an ancient castle of nomads” i.e. some set design for the popular films "Nomad: The Warrior”, "Night Watch” (Russian: Ночной дозор; Nochnoi Dozor) and others. You will also see camping of the Ministry of Emergency Situations of Kazakhstan. This is a quite large territory for training of rescue specialists. 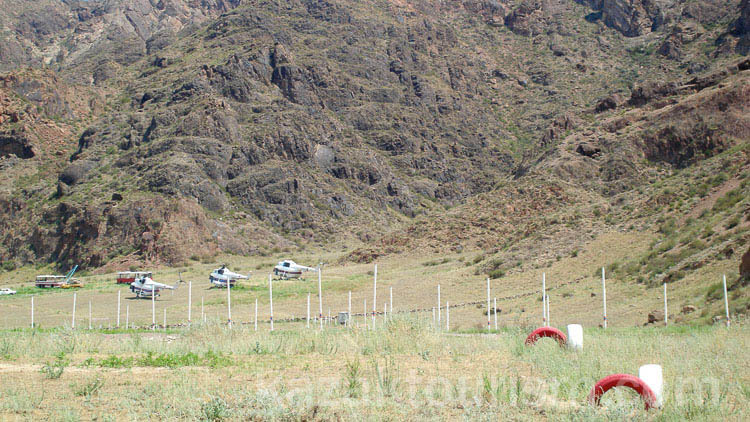 For different professional exercises there are some special real transport means like helicopters or wagons etc. ; they are not really operating but used for the training. Going down the stream further you will discover the real shipwreck – there are the remains of a wrecked barge. 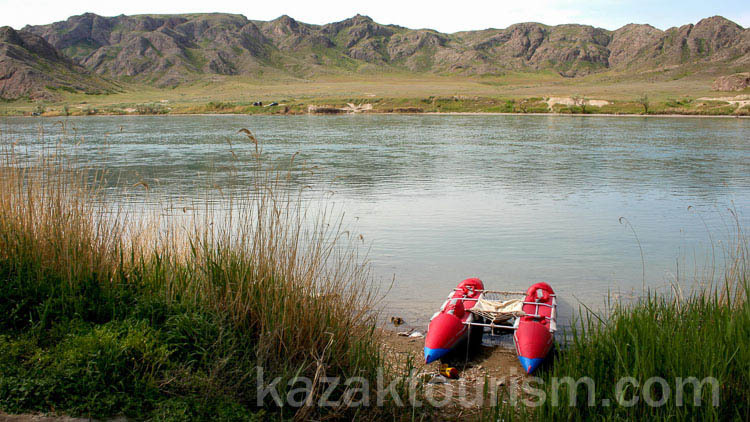 The Ili river rafting is organized as a calm water excursion. It is a great possibility to bathe and swim in the river, to get some nice impressions and take some unique pictures. Please see below the description and prices of the tour "The Ili river rafting". We wish you a nice journey and some unforgettable impressions. The rafting starts on the Ili river below the Kapchagay hydroelectric power station and ends at the Tamgaly Tas rocks covered with the petroglyphs. The rafting route is 16 kilometers long.